Please accept my heartfelt appreciation for all you did to make Sandwich High School Junior/Senior Prom, held on May 28, 2016, a spectacular success. I wish you could have heard the feedback and the expression of sincere gratitude towards our remarkable team of After Prom Moms! Please know that your extraordinary dedication to this project is recognized and appreciated by all of us at Sandwich High School. This year’s event was among the most creative we have ever experienced. Special thanks goes to Christine Brown, Colleen Clabault, and Kathy Siranosian for their exceptional leadership. When the students arrived to the front lobby, their faces told the story. 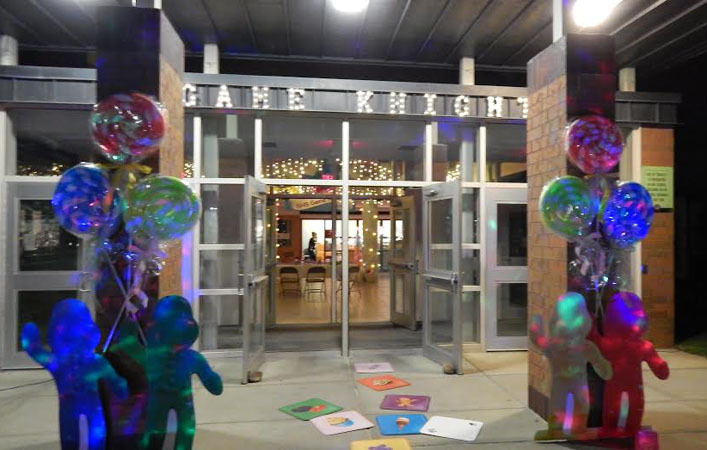 They were in awe of the special touches that transformed the familiar entrance of SHS to a giant candy land game. 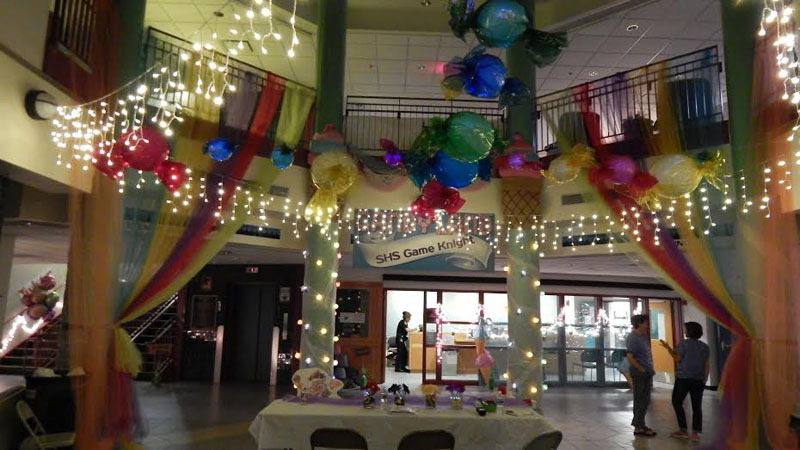 Throughout the school, the hallways, cafeteria, lobby and upper rotunda took on the aura of a theme park. 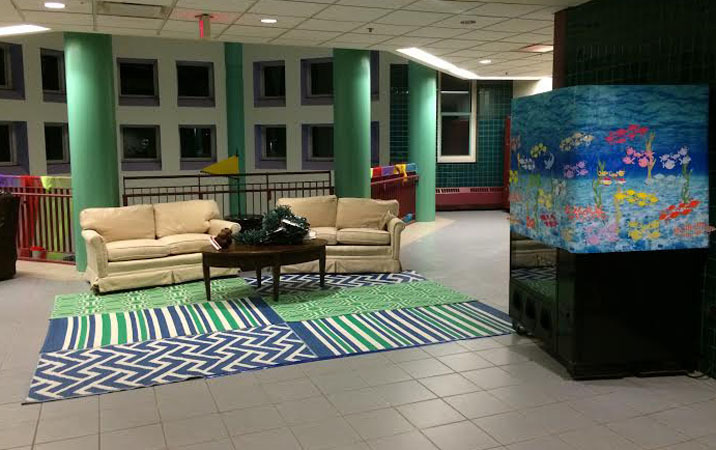 Students took in all the details and the personal touches that included each student’s name printed lovingly on a fish tank! The students had a great time. 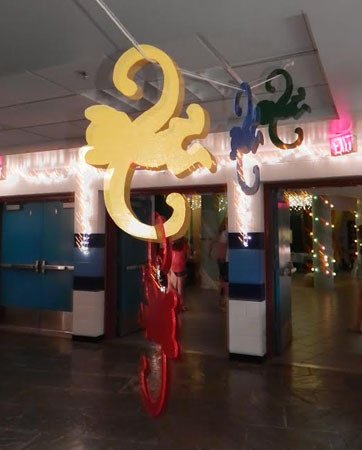 One dad emailed the next morning to let me know his daughter could not say enough about how much fun after prom was and how grateful the family was to the parents who organized this great event! The SHS/PTSA has thanked more than 50 local businesses for their support. The tireless efforts of these dedicated parents and many others who joined the effort made for a spectacular event. The entire prom night was spectacular with perfect weather. The town came out in a strong show of support for the students as family, friends, and alumni basked in the glow of the evening spring sun applauding hundreds of students at the Grand March at Heritage Gardens We are so grateful to Heritage for their continued and gracious hospitality extended to the students and families of Sandwich High School. Thank you for treating the young people of Sandwich like royalty each and every year. Thank you to Elizabeth Donahue and Rebecca Lewis, Class Advisors 2017, for their hard work, meticulous attention to detail, and outstanding organization skills. Your support of and trust in your class officers were key ingredients to the great success of this special night. It was a pleasure working with you, and it was clear that your officers are thriving under your skilled tutelage. Thank you to Sandwich Police Chief Peter Wack, School Resource Officer Christa Cabral, and the Melanson family for an outstanding prom safety assembly. The love and concern for our students exhibited by each of you made a lasting impression on our students. Finally, thank you to all the students and guests who attended the 2016 prom. You were wonderful in every way. Your elegance, dignity, friendly smiles, and gracious style were recognized and appreciated by staff at Heritage, The Sheraton, and all the parents who were with us all night at SHS! When the sun came up on Sunday, and the lobby filled up with tired happy students ready to go home, it was a wonderful feeling to share a safe and fun filled event with parents whose hard work and dedication are gifts to the entire town. Our shared message of caring, concern and respect has really taken hold after so many years of your hard work. Thank you to one and all for making Prom 2016 a spectacular event and one which will ensure lasting memories of a community’s love for its children.